Are you looking for the perfect gift for someone who loves sterling silver jewellery? Look no further! 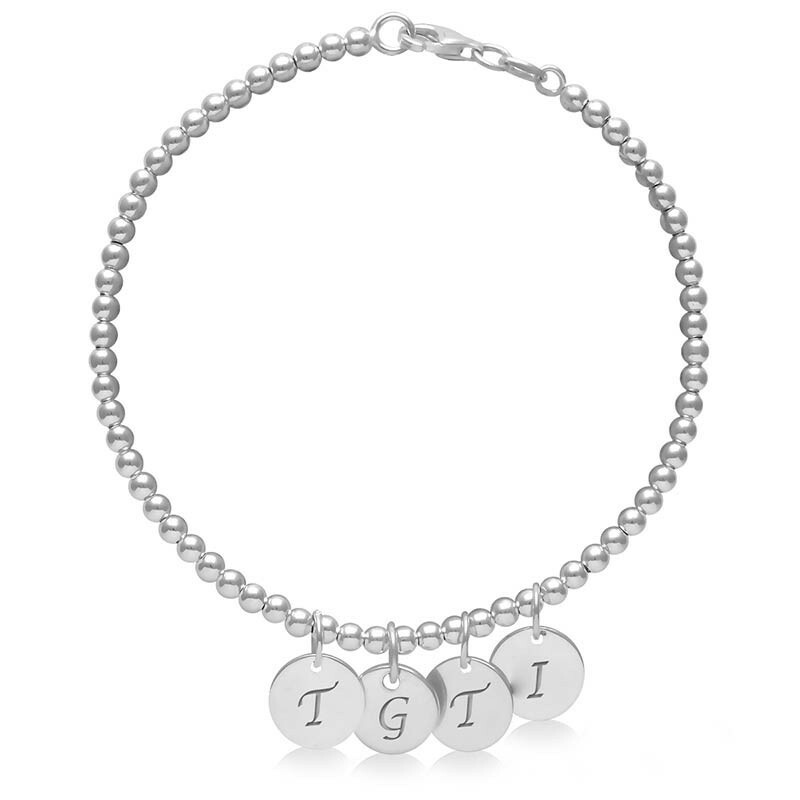 This beautifully elegant personalized ball bead bracelet will make the perfect gift for her. 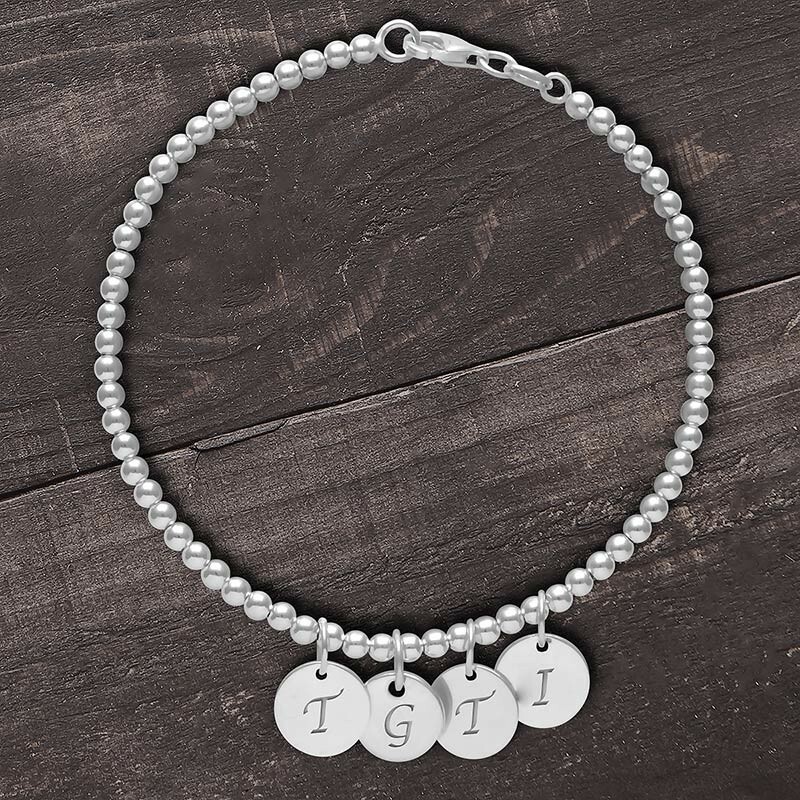 Gleaming sterling silver with personalized disc charms to encircle that special someone’s wrist. Make this a unique gift for Moms, bridesmaids, or any special lady. This simple and attractive genuine sterling silver charm bracelet makes the perfect gift for Mother’s Day, birthdays, anniversaries or to celebrate a new Mom. 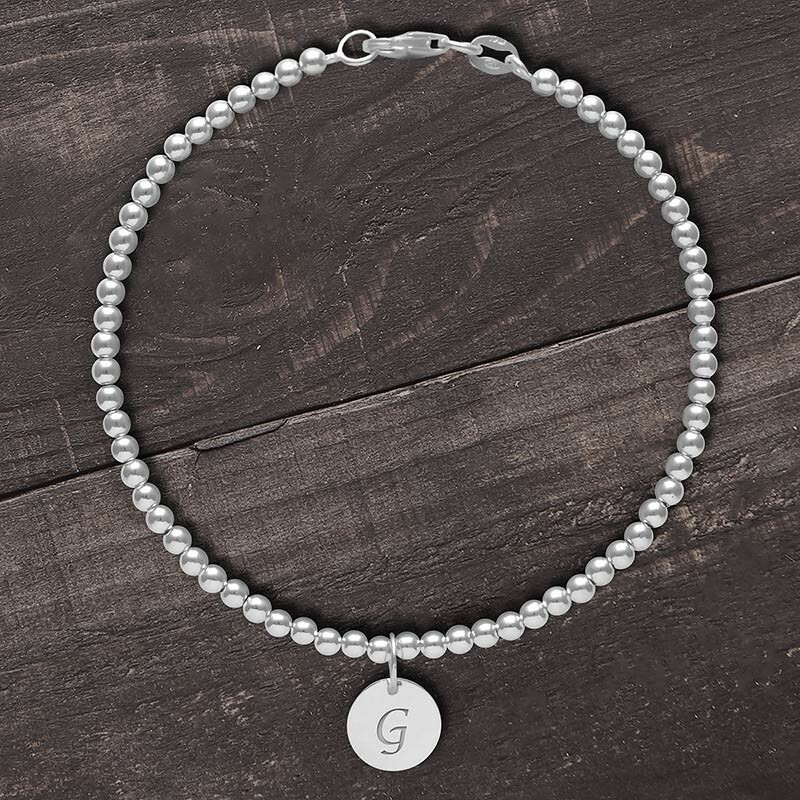 The circular shaped sterling silver charm can easily be personalized with the initial of a loved one with a variety of fonts to suit every taste. 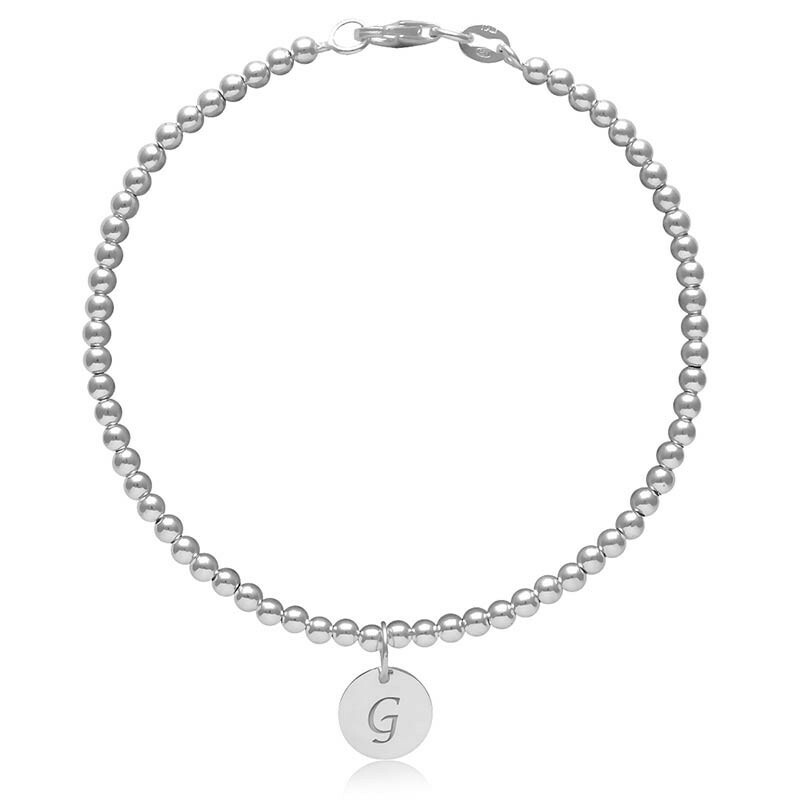 You can personalize this initial charm bracelet with up to 4 beautiful pendants.